Many of TapSnap’s franchisees have successfully run small businesses in complementary industries such as photography, entertainment, and event planning. They have realized that TapSnap provides an opportunity to grow their businesses by incorporating a new revenue stream. The low cost, simple-to-operate franchise offers a proven model that can easily be integrated into an existing business that targets similar clientele and leverages parallel skill sets. Incorporating TapSnap into an ongoing business strategy is a seamless process. TapSnap provides franchisees comprehensive ongoing support in sales, technology, marketing, and operations as well as an initial training program to ensure they are prepared to serve their markets. “Guests at our events are always mesmerized by what the reimagined photo booth can do,” said Kimberly Kruse, who recently purchased a TapSnap with her husband Chris and sister Bethany Sharp. “It’s been such a smooth process to launch TapSnap into our area." 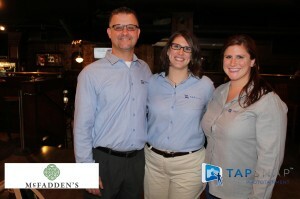 The trio has been able to hit the ground running and is looking to expand with TapSnap in West Michigan and beyond. Part of the success is their ability to leverage an established photography business. Individually, they each bring a wealth of expertise including graphic design and photography. Adding a TapSnap franchise to an existing, corresponding small business can help increase sales because franchisees are able to utilize current connections and their skills in a market in which they are already immersed.